With the advent of the internet came new and more efficient ways of doing business. Today, any kind of online startup can begin thriving within a few months of its establishment. However, it’s not all that rosy. You must exploit every possible avenue to ensure that you beat the stifling-hot competition and remain ahead of the pack. One of the most efficient ways of getting at the top and staying there is combining social media and promotion codes with the aim of endearing yourself to the online market. Nevertheless, you must do it the right way. Many business people make the mistake of setting off on a campaign without clear objectives. In the end, they find themselves stranded, neither knowing where they are nor the distance they should cover to reach their destination. You should first have clear goals in your mind before you get to market your store through promotion codes on social media. Remember that what you aim to achieve will have a great bearing on the kind of discounts you offer on social media. Most people are attracted by images than they are by text. Thus, your posts should include visuals in order to stand out and quickly capture the attention of the social media public. In addition to including it in your post, your promo code should be visible and clear enough for the audience to see and understand within seconds. Remember that social media is always receiving fresh newsfeeds and your posts will fast become old news. The trick is to get the attention of your target market before something else replaces your post. People like images but they love motion and sound. Therefore, don’t neglect YouTube in your campaign to promote your promo codes. One way of exploiting this platform to the fullest is creating videos which include the brand you would like to promote. Don’t forget to feature the discount codes in the description of the video. Any post on social media, irrespective of how exciting it seems, goes stale fast. It is not enough, therefore, for your post to catch attention on first sight. It must also motivate the viewer to act on the offered promotion code by making a purchase. One efficient way of speedy conversion is to spice up the post with a sense of urgency. For example, you can inform the viewer that the promo codes last for only a certain amount of time. Alternatively, you can offer the promo codes to a specific number of people who takes up the offer first. There are always people who amassed a good following on social media long before you signed up. Look for them and engage them in your campaign. For example, you can advertise your new promo codes online and get access to bigger audiences than you would alone. In addition, your promotion will be readily embraced by the audience simply because there is enough trust created by a long period of acquaintance. There is nothing wrong with paying the social media establishments to promote your posts and discount codes. The platforms will enable you to reach a more specific and larger audience than you would get without involving them. However, ensure that the promotional sale and the post are advertised at the same time. Your social media promo code campaign will cost you money and you must, therefore, ensure that it is worth the amount spent. In other words, it is an investment and you need to make sure that it does not go to waste. Thus, you should measure return on investment and track the performance of the various ways put into practice in the promotion. For every strategy, you use in the campaign, have unique codes. This way, you can easily separate excellent from poor performers and decide to maximize on them or kick them out. As an online entrepreneur, you cannot afford to overlook the importance of promo codes. 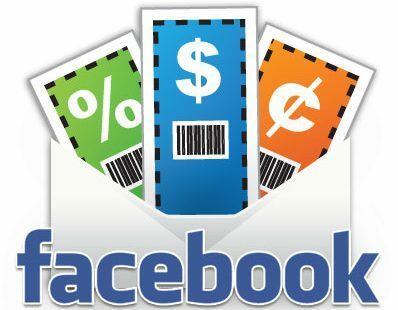 Stiff competition has made it a necessity for businesses to create coupon discounts and use them not only to attract new customers but also keep the old ones. With the huge number of their users, ignoring social media is not unlike committing a business suicide. Remember that promo codes can easily become your biggest sales growth drivers when the right strategies are put in place.